Nature, Space and the Sacred offers the first investigative mapping of a new and highly significant agenda: the spatial interactions between religion, nature and culture. 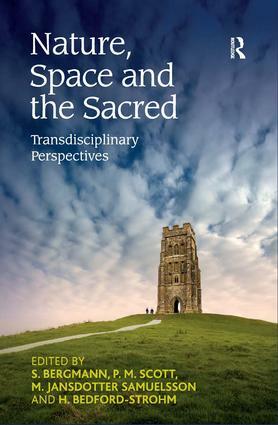 In this ground-breaking work, different concepts of religion, theology, space and place and their internal relations are discussed in an impressive range of approaches. Weaving together a diversity of perspectives, this book presents an innovative and truly transdisciplinary environmental science. Its broad range offers a rich exchange of insights, methods and theoretical engagements. S. Bergmann, Professor, Norwegian University of Science and Technology, Trondheim, Norway; P. M. Scott, Lecturer, University of Manchester, UK; M. Jansdotter Samuelsson, Lecturer, Karlstad University, Sweden; H. Bedford-Strohm, Dean of the Faculty for Human Sciences, University of Bamberg, Germany.